While impatiently waiting to see those Adidas-provided, big-logo uniforms worn by teams participating on Christmas Day, Randy Hill presents his holiday episode of The Starting Five. For openers, Miami’s come-from-behind triumph over Indiana reminded us that even if limited by a bum ankle, LeBron James is never far from beast level. We also were advised to remember that when the game is on the line and the opposition needs a big play or two from its star, James can make this a lot more difficult by guarding him … whoever "him" is. Having one of the sickest athletes in athlete history available to defend (at least) four positions on the floor is a tremendous luxury. We also gathered additional evidence that these teams don’t particularly care for each other and that there are times when LeBron is less than fond of teammate Mario Chalmers. And we learned that Dwyane Wade still has enough juice to provide the two-time defending champs with a lethal counterpunch. But even more telling is the ability of Miami’s superstar wing players to cover the floor at both ends at an elite level that mitigates the Heat’s lack of baseline size. Can this continue, again, over seven games? While we’re listing reminders, the Pacers again served notice that they’re really good and should become even better when everyone’s healthy and/or acclimated to new surroundings. And if you hadn’t figured this out earlier, Heat-Pacers II offered the lesson that this, for now, has become the league’s best rivalry. 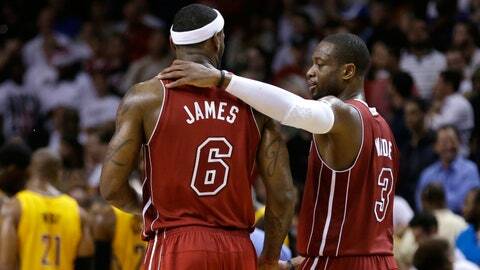 It probably won’t reach Celtics-Lakers, but it should make for a nasty Eastern Conference finals. And we’re looking for something more compelling than The Grinch vs. Frosty. This could be tricky to identify, because we have some holiday stinkers. Although the Heat will be in Los Angeles to take on the Lakers, the hopes for a LeBron-Kobe showdown were dashed when it was announced Thursday that Bryant will miss approximately six weeks with a fractured tibia. We also have the Chicago Bulls vs. the Brooklyn Nets and the Oklahoma City Thunder going up against Andrea Bargnani and the New York Knicks, but we’ll pass on those. That leaves us with the battle for a chunk of Texas (the Houston Rockets and San Antonio Spurs) followed by the L.A. Clippers at the Golden State Warriors. For those who appreciate NBA precision, it’s always a treat to watch the Spurs. 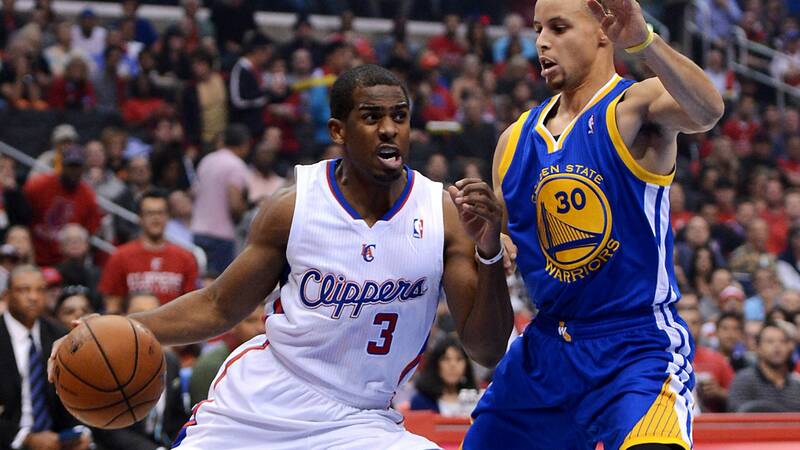 But we’re going with the nightcap, which features a point-guard showdown co-starring Chris Paul of the Clips and Warriors gunslinger Steph Curry. The Golden State crowd should create a playoff atmosphere, while Paul and Curry provide skill-development lessons for aspiring PGs. This doesn’t refer to any positional change. 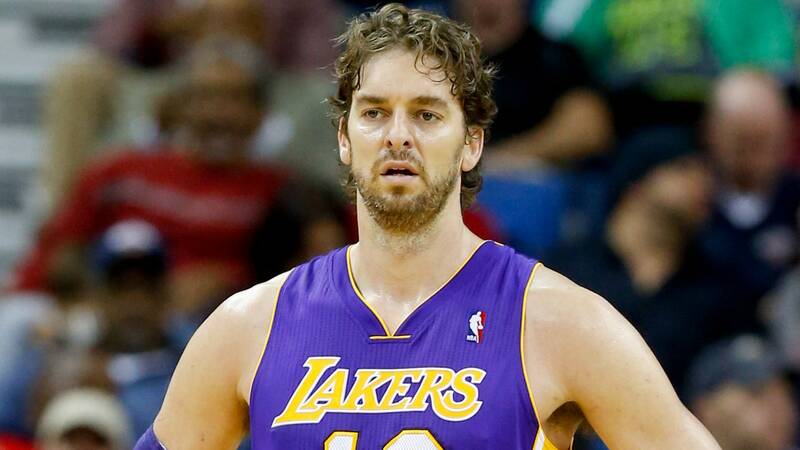 No, according to reports, the Lakers have decided they won’t trade Pau Gasol this season. But we can thank the rest of the NBA for helping the Lakers reach this decision. With an expiring contract of over $19 million, you might think Gasol would attract some suitors. Unfortunately for L.A., most teams are over or near the salary-cap limit, so taking on that much salary (even for the glory of watching it disappear at the end of the season) would require sending back a similar level of salary to the Lakers. And the Lakers, of course, would want young talent and/or draft picks as compensation for the 33-year-old Pau. A good team that might believe adding Gasol could make it very good probably wouldn’t diminish itself by getting rid of young talent. And good teams have draft picks that occur later in the first round. Meanwhile, bad teams aren’t exactly eager to cough up young talent for an aging, soon-to-be free agent. So any team simply adding Gasol for the expiring contract probably doesn’t have enough expendable players with expiring contracts to match Pau’s. And if they did, why bother adding him? The Lakers don’t want marginal players stuck on their payroll after this season. They may consider re-signing Gasol, but Kobe’s new deal limits that option, too. We’re going with Minnesota Timberwolves star Kevin Love, and not just because he almost reached triple-double heroics during Wednesday night’s win over LaMarcus Aldridge and the mighty Portland Trail Blazers. Based on raw data (supplied, in this instance, by hoopsstats.com), Love should be considered No. 1 due to his 30.1 efficiency rating. Checking in second, by the way, is New Orleans Pelicans sophomore Anthony Davis, who returned from a seven-game absence with another strong performance. Anyway, Love’s efficiency level has been achieved despite a relatively low (45 percent) overall field-goal percentage. The former UCLA standout does find a bit of redemption by shooting a solid 39 percent from beyond the 3-point line. He unloads 6.5 3-point attempts per game (second, among stretch fours, to Pelicans shooter Ryan Anderson), so this quick trigger poses a floor-spacing threat that helps teammate Nicola Pekovic register as the NBA’s sixth-most efficient center. What truly separates Love from his power-forward peers, though, is a commitment to rebounding (13.7 per game) and a passing skill (4.2 assists per game) that has taken him from outlet freak to half-court craftsman. While these stats make it seem like a rout, the gap is narrowed when Love’s defense is considered. 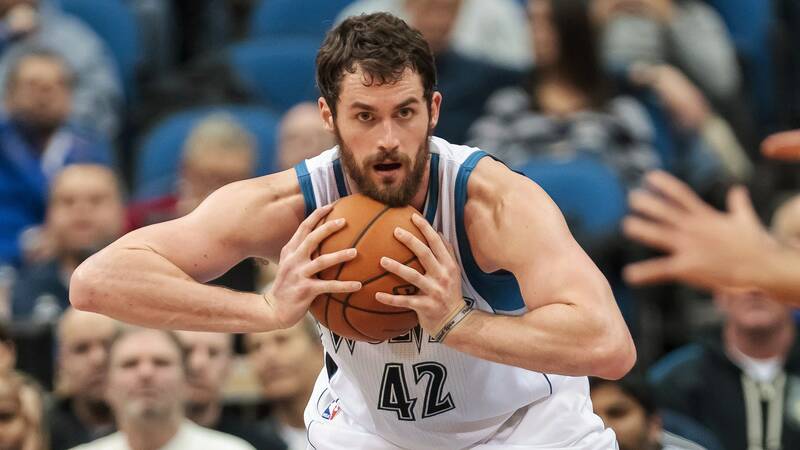 Opponents are converting 61 percent of their shots at the rim when K-Love is around. Then again, if this cat could jump, he might not have developed so many other skills. OK, it’s hardly what you were expecting, meaning this has nothing to do with Michael Carter-Williams. 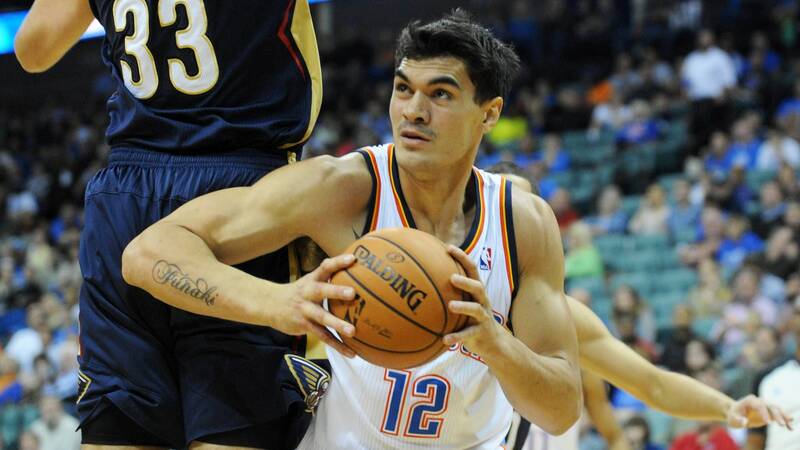 Our answer is Thunder center Steven Adams, who seems to be the NBA’s biggest irritant since Robin Ficker. Adding to his growing reputation as the Kiwi interpretation of Bill Laimbeer, Adams’ latest co-star in provocation was Denver Nuggets forward Jordan Hamilton. Hamilton this week was suspended for hitting Adams in the chest with a punch even weaker than you might find at a kindergarten reception. This aggression toward Adams was inspired by his hip check on Hamilton. Adams, who arrived in the NBA from New Zealand via the University of Pittsburgh, started his hit-by list during the exhibition season when screening Nate Robinson provoked a push in the back. Next up was mild-mannered veteran Vince Carter. Carter, whose frequent interactions with opposing players suggest a post-retirement run for players’ union director, swung an elbow at Adams. But the most interesting reaction (or non-reaction) to Adams was filed in November by Clippers center Byron Mullens, who didn’t respond when the OKC big man extended his hand for an end-of-the-game greeting. Adams instead shook his own hand and moved on.